It doesn’t get any funnier! Bunch of things wrong here. 1. Most black folks are a bit wary of strange right-wing white folks waving cameras at a Civil Rights meeting – something to do with COINTELPRO trying to create dirt on MLK in the Civil Rights Movement days, James Keen/Breitbart’s fake white pimp videos to attack ACORN, and the fake Shirley Sherrod video… Their history in abusing the medium precedes them. 2. To be the “Gestapo”…You have to be in charge. Sorta like the old Russian KGB…You ARE the government. 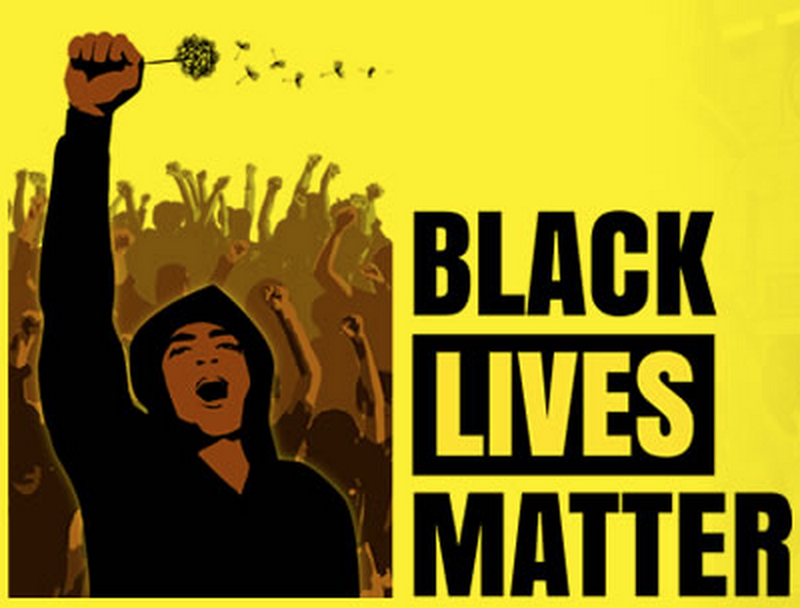 I haven’t seen any evidence the BlacLivesMatters is running the country …Yet…But one can always hope. 3. O’Reilly blackmails a low level Fox Reporter with the question. Faced with the choice of getting fired, or kissing O’Reilly’s behind – she punts with “I don’t know” to O’Liars’s pandering question. On Wednesday, Fox’s Bill O’Reilly highlighted a reporter who tried to cover a Black Lives Matter protest in Chicago but was told to turn off his camera by activists. O’Reilly somehow linked that to black-on-black crime, the condemnation of white people and himself as the reporter giving the most coverage to the Black Lives Matter movement. Also: Nazis. While he’s smart for trolling America on a nightly basis, in this case, Bill O’Reilly isn’t funny, he’s dangerous. As countless black people die at the hands of police and random white people likeDylann Roof feel empowered to murder churchgoers, O’Reilly still thinks race baiting is a timely joke. It’s not. Last night during O’Reilly’s chat with Andrea Tantaros and Jehmu Greene, Tantaros speculated that the Black Lives Matter movement will protest outside of the Republican National Convention next year but was somehow befuddled as to why they wouldn’t protest outside of the Democratic National Convention. On the other side, as Greene tried to explain that she understood the anger exhibited by the protestors captured on tape but didn’t agree with their demand to turn the reporter’s camera off, O’Reilly cut her off and compared the activists to … the Nazis. During a segment on “The O’Reilly Factor,” O’Reilly and Fox News commentator Andrea Tantaros discussed a Black Lives Matter conference in Ohio where attendees prevented a reporter from filming. It’s unclear how the gestapo — the Nazi secret police group dedicated to oppressing and terrorizing Jews, gay people, and basically anyone the Nazis deemed undesirable — is at all similar to a group that fights the oppression and brutalization of black people by law enforcement in the U.S. If by “shedding light,” O’Reilly means using debunked statistics to downplay police brutality, he’s right. O’Reilly’s criticisms of Black Lives Matter are notably inconsistent. His “gestapo” comment came just one day after he criticized the movement for being “anarchistic” — a trait not exactly typically linked to Nazi-like behavior.